IPsec | Richard M. Hicks Consulting, Inc.
IKEv2 is an IPsec-based VPN protocol with configurable security parameters that allows administrators to ensure the highest level of security for Windows 10 Always On VPN clients. It is the protocol of choice for deployments that require the best possible protection for communication between remote clients and the VPN server. IKEv2 has some unique requirements when it comes to load balancing, however. Because it uses UDP on multiple ports, configuring the load balancer requires some additional steps for proper operation. This article demonstrates how to enable IKEv2 load balancing using the KEMP LoadMaster load balancer. IKEv2 VPN security associations (SAs) begin with a connection to the VPN server that uses UDP port 500. During this initial exchange, if it is determined that the client, server, or both are behind a device performing Network Address Translation (NAT), the connection switches to UDP port 4500 and the connection establishment process continues. Since UDP is connectionless, there’s no guarantee that when the conversation switches from UDP 500 to UDP 4500 that the load balancer will forward the request to the same VPN server on the back end. If the load balancer forwards the UDP 500 session from a VPN client to one real server, then forwards the UDP 4500 session to a different VPN server, the connection will fail. The load balancer must be configured to ensure that both UDP 500 and 4500 from the same VPN client are always forwarded to the same real server to ensure proper operation. To meet this unique requirement for IKEv2 load balancing, it is necessary to use a feature on the KEMP LoadMaster load balancer called “port following”. Enabling this feature will ensure that a VPN client using IKEv2 will always have their UDP 500 and 4500 sessions forwarded to the same real server. Open the web-based management console and perform the following steps to enable load balancing of IKEv2 traffic on the KEMP LoadMaster load balancer. Enter the IP address to be used by the virtual server in the Virtual Address field. Enter 500 in the Port field. Select UDP from the Protocol drop-down list. Click Add this Virtual Service. Enter the IP address of the VPN server in the Real Server Address field. Click Add This Real Server. Repeat the steps above for each VPN server in the cluster. Repeat all the steps above to create another virtual server using UDP port 4500. Click View/Modify Services below Virtual Services in the navigation tree. Select the first virtual server and click Modify. Select Source IP Address from the Persistence Options drop-down list. Choose an appropriate value from the Timeout drop-down list. Choose an appropriate setting from the Scheduling Method drop-down list. Repeat these steps on the second virtual server. Select the virtual server using UDP 500 from the Port Following drop-down list. The following video demonstrates how to enable IKEv2 load balancing for Windows 10 Always On VPN using the KEMP LoadMaster Load Balancer. With the KEMP LoadMaster load balancer configured to use port following, Windows 10 Always On VPN clients using IKEv2 will be assured that their connections will always be delivered to the same back end VPN server, resulting in reliable load balancing for IKEv2 connections. DirectAccess has been around for many years, and with Microsoft now moving in the direction of Always On VPN, I’m often asked “What’s the difference between DirectAccess and Always On VPN?” Fundamentally they both provide seamless and transparent, always on remote access. However, Always On VPN has a number of advantages over DirectAccess in terms of security, authentication and management, performance, and supportability. 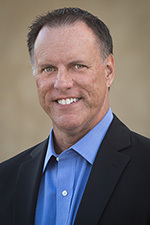 DirectAccess provides full network connectivity when a client is connected remotely. It lacks any native features to control access on a granular basis. It is possible to restrict access to internal resources by placing a firewall between the DirectAccess server and the LAN, but the policy would apply to all connected clients. Windows 10 Always On VPN includes support for granular traffic filtering. 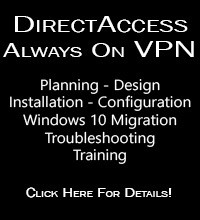 Where DirectAccess provides access to all internal resources when connected, Always On VPN allows administrators to restrict client access to internal resources in a variety of ways. In addition, traffic filter policies can be applied on a per-user or group basis. For example, users in accounting can be granted access only to their department servers. The same could be done for HR, finance, IT, and others. DirectAccess includes support for strong user authentication with smart cards and one-time password (OTP) solutions. However, there is no provision to grant access based on device configuration or health, as that feature was removed in Windows Server 2016 and Windows 10. In addition, DirectAccess requires that clients and servers be joined to a domain, as all configuration settings are managed using Active Directory group policy. Windows 10 Always On VPN includes support for modern authentication and management, which results in better overall security. Always On VPN clients can be joined to an Azure Active Directory and conditional access can also be enabled. Modern authentication support using Azure MFA and Windows Hello for Business is also supported. Always On VPN is managed using Mobile Device Management (MDM) solutions such as Microsoft Intune. DirectAccess uses IPsec with IPv6, which must be encapsulated in TLS to be routed over the public IPv4 Internet. IPv6 traffic is then translated to IPv4 on the DirectAccess server. DirectAccess performance is often acceptable when clients have reliable, high quality Internet connections. However, if connection quality is fair to poor, the high protocol overhead of DirectAccess with its multiple layers of encapsulation and translation often yields poor performance. The protocol of choice for Windows 10 Always On VPN deployments is IKEv2. It offers the best security and performance when compared to TLS-based protocols. In addition, Always On VPN does not rely exclusively on IPv6 as DirectAccess does. This reduces the many layers of encapsulation and eliminates the need for complex IPv6 transition and translation technologies, further improving performance over DirectAccess. 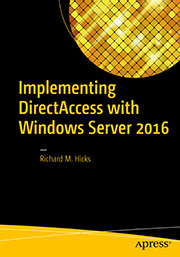 DirectAccess is a Microsoft-proprietary solution that must be deployed using Windows Server and Active Directory. It also requires a Network Location Server (NLS) for clients to determine if they are inside or outside the network. NLS availability is crucial and ensuring that it is always reachable by internal clients can pose challenges, especially in very large organizations. Windows 10 Always On VPN supporting infrastructure is much less complex than DirectAccess. There’s no requirement for a NLS, which means fewer servers to provision, manage, and monitor. In addition, Always On VPN is completely infrastructure independent and can be deployed using third-party VPN servers such as Cisco, Checkpoint, SonicWALL, Palo Alto, and more. Windows 10 Always On VPN is the way of the future. It provides better overall security than DirectAccess, it performs better, and it is easier to manage and support. Here’s a quick summary of some important aspects of VPN, DirectAccess, and Windows 10 Always On VPN. If you are interested in learning more about Windows 10 Always On VPN, consider registering for one of my hands-on training classes. More details here. Windows 10 Always On VPN is infrastructure independent and can be implemented using third-party VPN devices. It is not necessary to deploy any Windows servers at all to support an Always On VPN solution. However, in a recent blog post I outlined some compelling reasons to consider using Windows Server 2016’s Routing and Remote Access Service (RRAS) feature to terminate VPN connections. RRAS supports both modern and legacy VPN protocols, each with their own advantages and disadvantages. The choice of which protocols to support will be determined by many factors, but it is important to understand the capabilities of each to make an informed decision. Windows RRAS supports the following VPN protocols. There are pros and cons associated with each of these VPN protocols. Here’s a breakdown of each. This IPsec-based VPN protocol is the preferred choice for most deployments. IKEv2 provides the best security and performance, with native features that enhance mobility. This latest version of IKE (v2) features streamlined messaging during connection establishment and enhanced session management that reduce protocol overhead and improve performance. Advantages: Best security and performance. Disadvantages: Firewalls may block required UDP ports. SSTP is an excellent alternative to IKEv2. It uses industry standard Transport Layer Security (TLS), making it widely accessible from most locations. It provides good security out of the box, but can be improved upon with additional configuration. SSTP lends itself well to load balancing, making it much easier to scale out than IKEv2. Optionally, TLS can be offloaded to an Application Delivery Controller (ADC) to reduce resource utilization on the RRAS server and further improve performance. Advantages: Easy to configure with firewall friendly access. Disadvantages: Not as secure IKEv2. While technically supported for Always On VPN, L2TP is a legacy VPN protocol that offers no real advantages over IKEv2. Its use is unnecessary and should be avoided. PPTP is considered an obsolete VPN protocol with many known security vulnerabilities. Its use should be avoided at all costs. 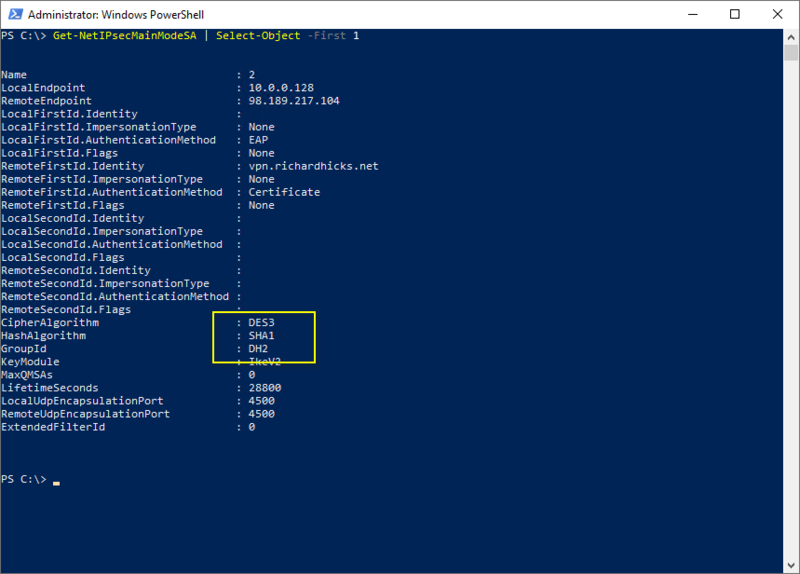 Implementation best practices dictate that IKEv2 and SSTP be enabled to support Windows 10 Always On VPN connections when using Windows Server 2016 RRAS. 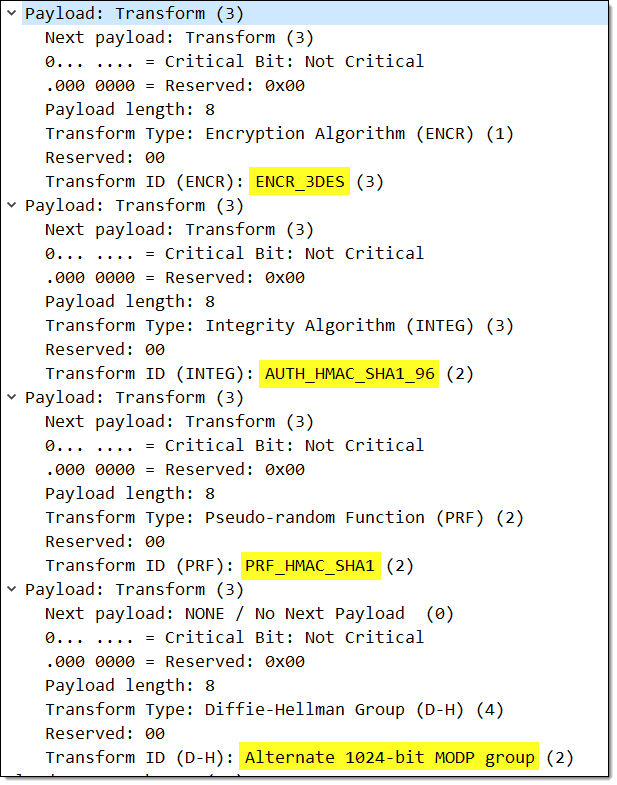 The use of L2TP/IPsec and PPTP should be avoided. The combination of IKEv2 and SSTP will provide the best security and availability for remote workers. Clients that can establish IKEv2 VPN connections can take advantages of the security and performance benefits it provides. SSTP can be enabled as a fallback for clients that are unable to establish an IKEv2 connection due to restricted firewall access. Interested in learning more about Windows 10 Always On VPN? Hands-on training classes are now forming. More details here. Note: For information about configuring the Citrix NetScaler to perform IP-HTTPS preauthentication, click here. For information about configuring Windows Server 2012 R2 to perform IP-HTTPS preauthentication natively, click here. Recently I wrote about security challenges with DirectAccess and the IP-HTTPS IPv6 transition technology. Specifically, IP-HTTPS transition tunnel connections are not authenticated by the DirectAccess server, only the client. This allows an unauthorized device to obtain an IPv6 address on the DirectAccess client network. With it, an attacker can perform network reconnaissance using ICMPv6 and potentially launch a variety of Denial-of-Service (DoS) attacks. For more details, click here. Note: DirectAccess IPsec data connections not at risk. Data is never exposed at any time with the default configuration. To mitigate these issues, it is recommended that an Application Delivery Controller (ADC) be used to terminate SSL connections and enforce client certificate authentication. Doing this will ensure that only authorized connections will be accepted by the DirectAccess server. In addition, there are some scalability and performance benefits to implementing this configuration when supporting Windows 7 clients. Performing IP-HTTPS preauthentication on the F5 BIG-IP is formally unsupported by Microsoft. In addition, terminating IP-HTTPS on the F5 appliance breaks OTP authentication. To configure the F5 BIG-IP to perform SSL offload for DirectAccess IP-HTTPS, follow the guidance documented here. In addition, to configure the F5 BIG-IP to perform preauthentication for DirectAccess clients, when creating the client SSL profile, click Custom above the Client Authentication section and choose Require from the Client Certificate drop-down list and Always from the Frequency drop-down list. In addition, choose your internal PKI’s root Certification Authority (CA) certificate from the Trusted Certificate Authorities drop-down list and from the Advertised Certificate Authorities drop-down list. Enabling client certificate authentication for IP-HTTPS connections ensures that only authorized DirectAccess clients can establish a connection to the DirectAccess server and obtain an IPv6 address. It also prevents an unauthorized user from performing network reconnaissance or launching IPv6 Denial-of-Service (DoS) attacks. Note: For information about configuring the F5 BIG-IP to perform IP-HTTPS preauthentication, click here. For information about configuring Windows Server 2012 R2 or Windows Server 2016 to perform IP-HTTPS preauthentication natively, click here. IP-HTTPS is an IPv6 transition technology used by DirectAccess. It enables DirectAccess clients to communicate with the DirectAccess server using IPv6 over the public IPv4 Internet by encapsulating IPv6 packets in HTTP and authenticating (and optionally encrypting) them using SSL/TLS. IP-HTTPS is supported for all DirectAccess network deployment configurations and is enabled by default. When a DirectAccess client connection is established, only the server is authenticated by the client. The client is not authenticated by the server. The DirectAccess server will thus accept IP-HTTPS connections from any client, valid or not. Once a client has established an IP-HTTPS transition tunnel, it will go through the standard IPv6 neighbor discovery process to identify routers and obtain an IPv6 prefix for the link. It will use this information to build its own IPv6 address, which it uses to communicate with the DirectAccess server and begin establishing IPsec security associations for DirectAccess. By design, ICMP is exempt from DirectAccess IPsec policy processing. If an unauthorized client were to establish an IP-HTTPS transition tunnel, even without authentication (Kerberos Proxy or certificate) it would be able to ping the DirectAccess server tunnel endpoint IPv6 addresses, the DNS64 IPv6 address, and any intranet hosts (assuming host firewalls allow this access). This default posture opens up the DirectAccess server and intranet to unauthorized remote network reconnaissance and some IPv6-related Denial-of-Service (DoS) attacks. These were demonstrated by security researcher Ali Hardudi at the recent Troopers16 security conference. You can view his very informative session here. Note: DirectAccess IPsec data connections are unaffected and are completely secure. Data is never exposed at any time with the default configuration. To mitigate these risks, it is recommended that an Application Delivery Controller (ADC) such as the Citrix NetScaler be configured to preauthenticate DirectAccess clients prior to establishing the IP-HTTPS transition tunnel. Note: To configure the F5 BIG-IP to perform IP-HTTPS preauthentication, click here. To perform DirectAccess preauthentication, it will be necessary to configure the Citrix NetScaler to perform SSL termination for IP-HTTPS. The virtual server on the NetScaler must use the SSL protocol. In addition, a CA certificate must be bound to the virtual server. Also, Client Authentication must be enabled under SSL Parameters and be set to Mandatory. Once configured, the NetScaler appliance will ensure that the DirectAccess IPsec certificate is present on the client before establishing the IP-HTTPS IPv6 transition tunnel. This will prevent unauthorized connections to the DirectAccess server. Performing IP-HTTPS preauthentication on the Citrix NetScaler is formally unsupported by Microsoft. In addition, terminating IP-HTTPS on the NetScaler appliance breaks OTP authentication. The default security posture of DirectAccess leaves the internal network open to unauthorized network reconnaissance, and exposes the DirectAccess infrastructure to potential denial-of-service (DoS) attacks. To mitigate these security risks, implement the Citrix NetScaler ADC and enable client certificate authentication.